A real ‘Gem’ set in a quiet tranquil village setting and offering contemporary interior design finish throughout, boasting flowing floorplan of over over 3000 sq. ft. of generously proportioned accommodation offers exceptional living and entertaining. This outstanding five bedroom home sits on approximately three quarters of an acre of well manicured gardens and boasts a garage/dance studio/brick BBQ and water feature on patio. 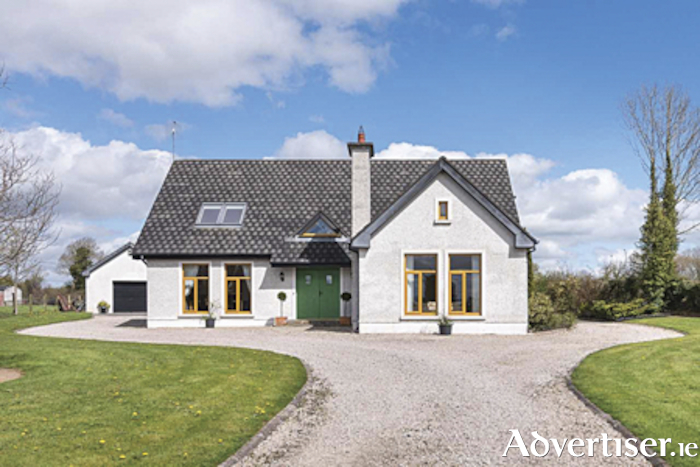 Centrally located, approximately five minutes drive from Moate and seven minutes from the M6, with an approximate time of one gour to travel to Dublin. Viewing strictly by appointment with Sherry Fitzgerald agent Helena Kenny. Call the Sherry Fitzgerlad offices on 0906475500 or email [email protected] to arrange a viewing.